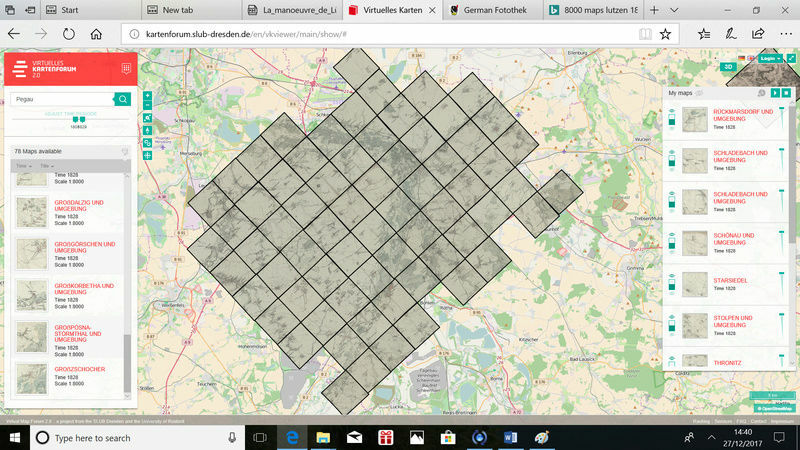 This is a source of German digital images including maps and photos. There is also a Beta service that allows you to locate on a modern map and see what they have for the location. Some of the photos are bridges and architectural buildings of interest. Lots of good stuff here, and have bookmarked this site. I'm particularly interested in the Vauban-type fortress plans. 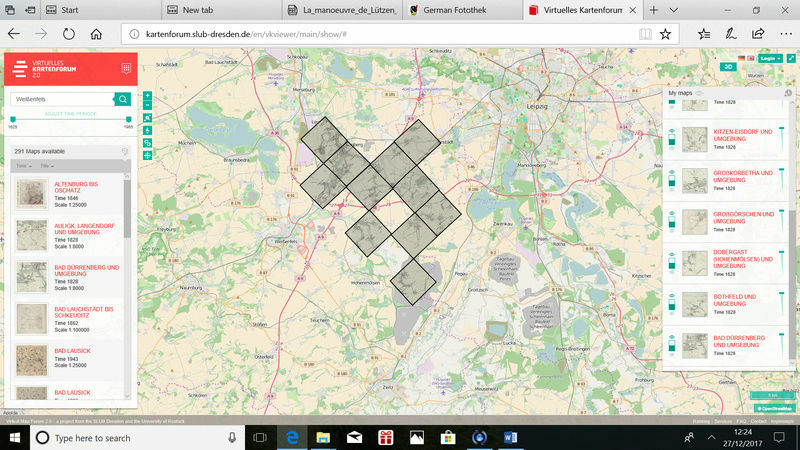 I have been trying out the beta map overlays and have found an incomplete set of maps of the Lutzen battlefield of 1813 in 1:8000 scale and printed in 1828. These look similar in style to other KS maps so I am wondering if these were printed (in Berlin) by the 1828 committee. That could well be, Tim. Here is another possibility. 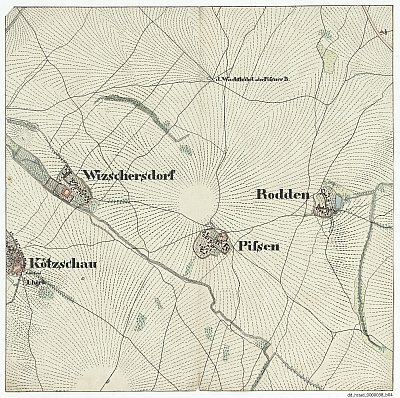 The preamble to the 1824 rules mentions a recent series of maps of Saxony as being available for staging Kriegsspiels. So these may be part of that series. Having searched the site I have not found anything else in 1:8000 scale so that is it for now but there are 80 maps in the series. They differ from the standard k/s maps we normally use by lacking contours. But that's to be expected of an 1828 date, and our usual maps (Meckel, Koeniggratz, Metz) are all a lot later. And actually they are none the worse for that IMHO. I've always felt the hatching scheme was superior to contours from a purely military point of view. At least for horse & musket games. When printing k/s maps in b&w I sometimes colour the hilltops in a very pale yellow, which really brings them out, and avoids confusion with low ground. 80 new maps gives us a lot to play with! Presumably it's possible to print these out in a reduced scale. If so, perhaps we could even try one of these for one of our spring army-level games. Will discuss with Steve.